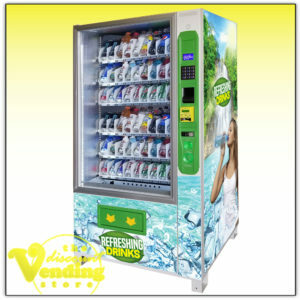 The DVS Duravend 60B Drink Vending Machine is a 5 wide, stylish, drink vending machine which features 60 different drink selections. It packs the most product into one drink vending machine. Unlike most drink vending machines on the market which offer 40 different drinks, this machine will hold 60 drinks and 300 total. Choose from different vending wraps which suit your needs best as shown in the images. Ask about having your own custom graphic installed on the machine as well. Add style to the machine with your own unique graphics. The drink selections can be small 8 oz size cans up to 20 oz size bottles. Best of all, it doesn't require special shims and dividers to configure the different beverage sizes. If you need it to vend a few snacks, we can change the configuration to allow snacks like candy bars and chips also. The machine has tip down, adjustable shelves for easy loading. 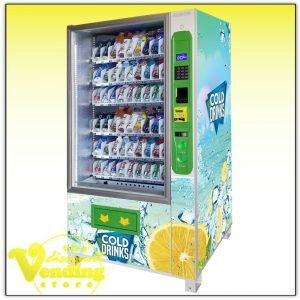 Additionally, the Duravend 60B Drink vending machine features a double-pane glass, LED strip lighting, vandal proofing, and a pull out removal refrigeration deck. It is FCC Compliant and easy to operate, program, and maintain. 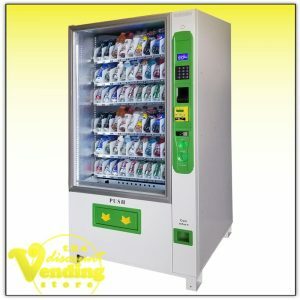 It even includes the guaranteed vend sensor (laser) which ensures every vend a success. Additionally this drink machine allows you to receive remote, real-time inventory tracking and monitoring of all your products so you can pre-kit your machine quickly. The machine contains a stackable, ICT dollar bill validator which accepts $1 & $5 bills. The Conlux MCM5 coin unit accepts nickels, dimes, quarters, and even dollar coins. A credit / debit card reader can also be added for a small additional fee which would provide a cashless vending experience and the possibility of doubling your sales. The credit card reader will allow for mobile payments as well as traditional payment with the swipe or the chip. This beverage vending machine will include a manufacturer's one year warranty on all the parts. A lifetime of technical support and assistance is also available to you as long as you own the machine. Two sets of keys, as well as the owner's manual, will be included with each machine purchase. 1. The optional Nayax credit card reader will accept all major credit cards and uses the credit card's chip or the swipe. You can also send payments using Apple I-Pay or Google Wallet. It will also allow you to log into your machine remotely from your home or office computer and obtain real-time, detailed sales reports on each product that has been sold. No wires are needed as it’s totally wireless. 2. 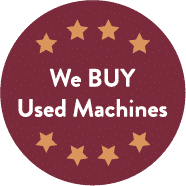 We offer multiple different wraps which can be added to all three sides of the Duravend Drink Vending machine which would really help the machine stand out, and creates a more personalized vending machine. When checking out, you must choose which wrap you want. If you have questions feel free to call us before ordering.